A new music video for a Free West Papua has been released by Provocalz, an aboriginal Australian artist from Sydney, Australia. West Papua is located in the South Pacific Ocean between Australia and the equator, it occupies the western portion of the second largest island in the world. The island is currently known as New Guinea and was formerly Dutch New Guinea. 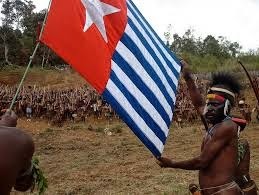 West Papua is a province of Indonesia and is not to be confused with the Independent State of Papua New Guinea. It is situated west of Papua, Indonesia, according to the map above. Since the 1700's the word Papua has been used synonymously to mean frizzy hair, dark skin, slave, dark and dirty. Black indigenous natives in West Papua have gravely suffered slow extermination at the hands of Indonesian occupation for 50 plus years. The inhumane murders and abuse have most recently escalated while supremacy, land grabs, torture, racism and blatant greed - fuel genocide with impunity. Indigenous Black natives are currently being raped, starved and tortured at alarming rates; activists are brutally murdered or held as political prisoners by the Indonesian government. Free West Papua Official Site states, "Jeny Badi, an 18 year old Papuan student gang raped and shot dead by Indonesian Military." In my terminology, the brutal savages gang raped this young lady and then shot her dead. The Indonesian government does not wish to publicize The Secret War being waged on Black indigenous people under Indonesian rule. A Media Black Out Remains In Place. The government of Indonesia is hiding Genocide. by the Indonesian military and then shot dead. The United States and Dutch both promised West Paupan's freedom after World War II however; abandoned them to suffer under Indonesian rule. United States President JFK is said to have encouraged the Dutch to leave and turn West Papua over to Indonesia. President Kennedy expressed concern regarding Communist rule throughout the archipelago (18,000 plus islands). Research leads me to believe that President Kennedy realized the longevity of monetary profits from West Paupan land – mountains flowing in gold, copper, natural gas, oil, ore, timber and other natural resources. Around 1962, the United Nations, The United States and others, turned their heads to Human rights violations in West Papua. I haven't determined efforts by the United Nations or USA, to stop this genocide in the past, present or, near future. As a science education major at Clark Atlanta University, I was nurtured to view the world in formulas. The formula for this genocide is not difficult. Extermination + Land Grab + Long Periods of Time = Genocide. The formula has changed. Extermination + Land Grab + Escalated Time Frames = Fast Track Genocide. One cannot discuss the continuous extermination of West Papuan's without mentioning the oldest United States based mining company, Freeport Sulphur, Inc.. Freeport Sulphur created a town in Texas called Freeport and was formed as a sulphur mining company in 1912. 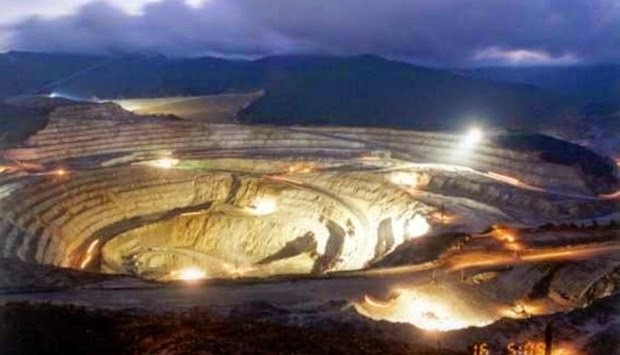 Several sources reveal a close connection to the Rockefeller family and Freeport Sulphur, in regard to investments and a mining company located in West Papua during the early 1960's. Currently, Freeport Sulphur is called Freeport-McMoRan,Inc., and they relocated it's base from Louisana to Phoenix, Arizona. Freeport-MCmoRan, Inc., trades on the New York Stock Exchange under the FCX symbol. On August 6, 2014 at 10:34 AM (FCX) held a value of 37.09 on the New York Stock Exchange. Freeport-McMoRan, Inc. is the largest foreign investor in Indonesia, and runs Grasberg mine where gold and copper are extracted. Grasberg is the largest gold mine in the world and the third largest copper mine in the world according to Wikipedia. In an articled written by Simon Montlake for the February 13, 2013 issue of Forbes Magazine, Grasberg Gold Mine "...at 14,000 feet elevation rests in perpetual fog." According to natives, rivers are polluted to the extent that fish from the rivers are not edible. 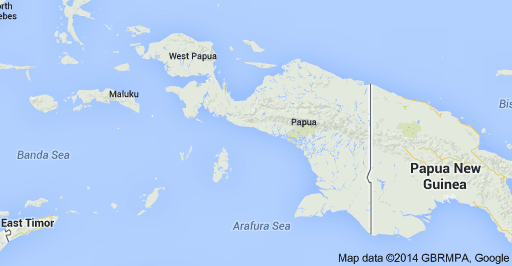 The wastes dumped by Freeport is resulting in starvation for native Papuan's. Forests that once provided food sources are now being demolished at alarming rates for palm oil plantations. Natives are not able to shop in grocery stores as they have No Money. Muslim Migrants are brought in for employment and shop in grocery stores that natives must avoid. Black natives are accustomed to living and surviving on ancestral lands which are continuously stolen and destroyed. Migrant workers are brought in to perform jobs within the mining, logging and palm oil plantation businesses. Tabloid Jubi dot com states that plans are underway to destroy 558,458 acres of native ancestral lands in West Papua for logging and palm oil plantations. Please Click Here to read about the seven companies and this illegal process. The destruction of 558,548 acres will exterminate even more Black indigenous natives. International media are forbidden to conduct operations in West Papua. Stories of babies killed, torture, women and men being raped, the spread of diseases with lack of medical services and outright elimination of the Black natives is downright painful. Human rights groups are banned. Information is rather difficult to verify, pictures of the dead, raped and tortured are numerous and provide evidence for the United Nations to demand an end to the genocide. The inhumane torturous practices conducted by the Indonesian in 2014, are confirmation – in themselves – of genocide. A few Universities have published studies. The practices are proven to be Genocide. West Papuan activists are said to be imprisoned from 5-15 years while others are outright murdered for seeking freedom from the Indonesian government. We rarely hear about the genocide in West Papua. More than 500,000 Black Indigenous natives have perished at the hands of Indonesia's military and police. Why A Media Black Out? 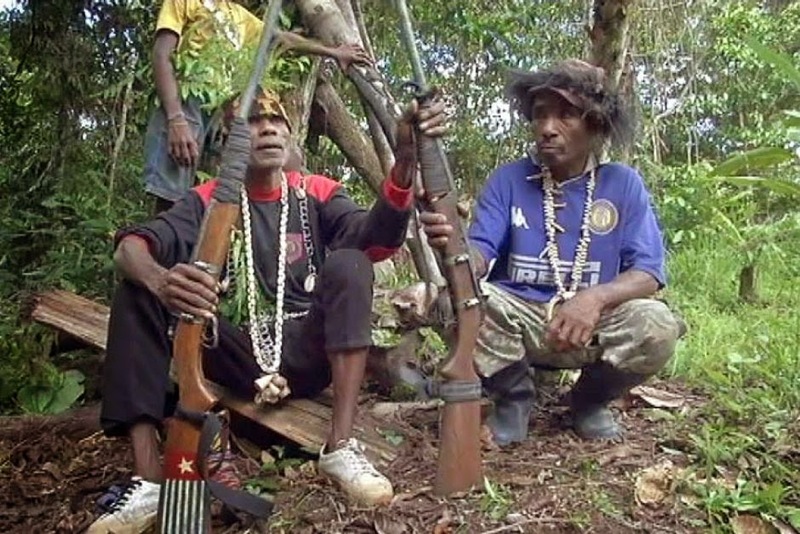 "...the suspicious death of a commander of the rebel Free Papua Movement (OPM), Danny Kogoya ... The cause of death, as described in the medical report, was liver failure, bought on by the presence of “unusual chemicals in his body,” raising concern that he was poisoned. 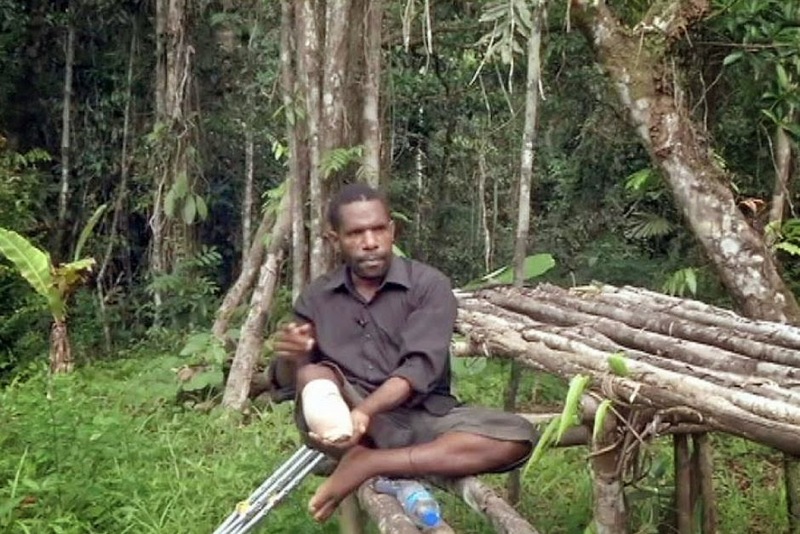 At the time of his death, Kogoya was at Vanimo hospital, in Papua New Guinea (PNG), receiving treatment for his leg. His leg was amputated in 2012 – without his consent – at a police hospital in Jayapura, West Papua, after Indonesian security forces shot him during an arrest. According to the Asian Human Rights Commission(AHRC), a doctor at Vanimo hospital alleged that the chemicals were administered while Kogoya was at the hospital in Jayapura and that he had been slowly poisoned to death by the indonesian state authorities." Indonesia's mandated media black out hides a deep dark secret – Genocide. Media provides continuous world wide coverage of Israel, Genocide, and the 'Logic of Zionism'. Indonesians, Genocide and the 'Logic of Extermination' is unheard of. 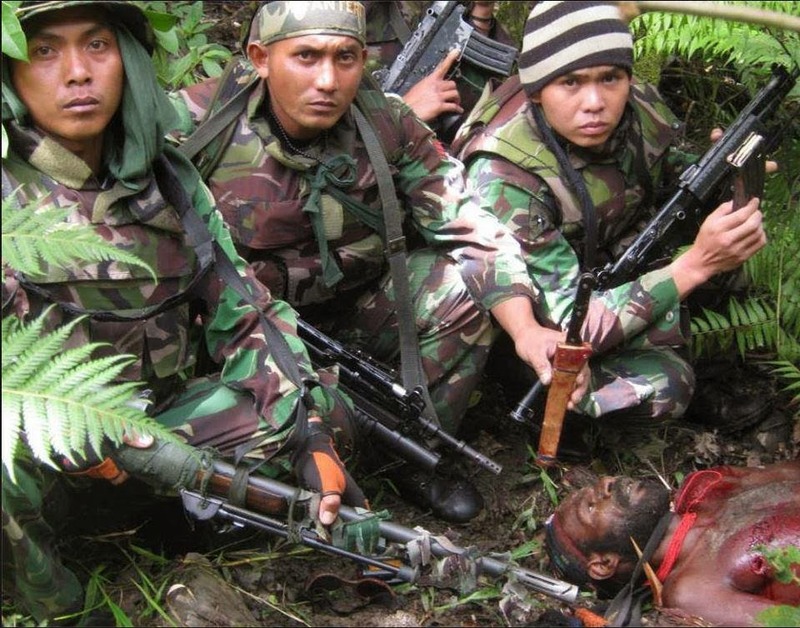 Indonesian Soldiers Pose For "Trophy Photo"
West Papuans are being murdered, and starved to death by land grabs of the Indonesian Government. Genocide in West Papua is being carried out in more than one way (1)Murder (2) Starvation (a)by destroying ancestral forests that West Paupans live and hunt in, (b)by contaminating rivers and killing off seafood, mainly fish. (5) Brutal rapes and the introduction of diseases - lack of medical care. The urgency of lifting Indonesia's media blackout is beyond words. Indonesia would like to continue hiding the Genocide of West Papau. Sign Petition To Stop Genocide and Lift Media Black,Restricted Travel The Embassy of The Republic Of Indonesia grants visas to visitors; their website states that "There are regions in Indonesia that the foreign national is not allowed to visit without special written permission and approval. The four regions are: Poso, and Irian Jaya/WestPapua. The Applicant who wishes to enter the restricted regions must obtain special authorization from Indonesian authorities. Important: Please advise to the Embassy/Consulate Generals about the intention to visit restricted regions." Click Here For Visitor Requirements To West Papua Very few visits are awarded to restricted regions and a media black out continues. A United States based Committee – Justice For West Papua - was formed to expose human rights violations experienced by oppressed Papuan's as a result of Indonesian rule. We understand that Papua New Guinea (PNG) is an Independent State. Our goals are to educate the public and protest human rights violations experienced by West Papua. We are highly skilled and experienced in grassroots mobilization and education. U.S. Based Committee - Justice For West Papua is requesting that organizations incorporate the plight of West Papua in Black August observations during August 15-31, 2014. Please see the official WestPapuan wesbite www.freewestpapua.org for details surrounding the August 15, 2014 protest. "The New York Agreement promised all Papuans a free and fair referendum on independence but this was never held and instead, 1026 Papuans were handpicked by Indonesia and forced at gunpoint to vote against independence. This is why we call the 15th August, the Day of Broken Promise." United States based committee, Justice For West Papua is requesting that you assist by writing letters to editors of your local newspapers. Request local and mainstream media to cover a story or series of stories on Indonesia's Genocide of West Papua. Contact an Indonesian Consulate in your area and express your desires to have the media ban and restricted travel lifted. ¹ Genocide In West Papua? The role of the Indonesian state apparatus and a current needs assessment of the Papuan people. Centre for Peace and Conflict Studies The University of Sydney. John Wing with Peter King. August 2005. ² Harvey, Gemima. The Human Tragedy Of West Papua. The Diplomat. I am an analyst specializing in the wrongfully convicted and those who suffer issues of grave injustices. I've publicized many unheard of issues and cases, with positive measurable results. Willie Manning, Marissa Alexander and The Mississippi Scott Sisters are among the most high profiled cases. We obtained a stay of execution for Willie Manning, freedom for the Scott Sisters and pro bono legal representation for Marissa Alexander. I hold a Master of Jurisprudence from Loyola University Chicago School of Law, a B.A. Degree From Clark Atlanta University and Certificate of Technology and Writing from Bread Loaf School Of English – Vermont. As a former third generation public school teacher, I followed the tradition of creating "outside the box" teaching strategies for students labeled disabled and emotionally disturbed. My consciousness and disapproval of the "school to prison pipeline" led to work with juvenile delinquents. As a Reader's Digest DeWitt Wallace Fellow - I created strategies to integrate technology and writing in rural public schools. In December of 2011, I published a learning supplement and guidebook against mass incarceration titled, Locked Up What To Do When Your AZZ Get's Locked Up, The Poor Man's Guide To Freedom. TheNancyLockhartShow On Facebook and Voicemail: 601-564-8314. Shooters Stance The Web Series Episode 1 "Team Player"
Shooters Stance is an American Dramatic Web Series that takes place in Los Angeles. Starring Alfred Woodley http://www.imdb.com/name/nm0004622 who is also the creator and writer of this fictional work. This series does not in any way seek to Disparage, Fabricate or Tarnish the image of the Los Angeles Police. Shooters Stance takes place in a corrupt culture within the Los Angeles Police Department. The portrayals of excessive deadly force, questionable Officer Involved Shootings of innocent unarmed civilians is simply ART imitating life in 21st Century America, This Web Series holds up the proverbial mirror to the faces of Bad Cops, Bad Police Policy a Bad Judicial system, and Bad Politicians all complicit in allowing Public servants to Gun down its citizenry, Leaving in its wake a path of Death, Destruction and a vast community of people fed up and prepared to take a stance... A Shooters Stance! Alfred Woodley and A-Train Motion Pictures presents a Worldwide Youtube Audience release of Shooters Stance. Shooters Stance Episode 2 "Throw Down"
Shooters Stance Episode 3 "Revelations"
Shooters Stance episode 4 "The Rundown"